Gravel is a great idea for landscaping and more and more people are choosing it for their yards. Though it has a tough consistency, it offers a softer appeal to your space. Perhaps what attracts people the most is the fact that it has a more organic feel to it than brick or pavers. Moreover, it is quite durable and it suits driveways, paths, and terraces. But how many people have original landscaping ideas with gravel? 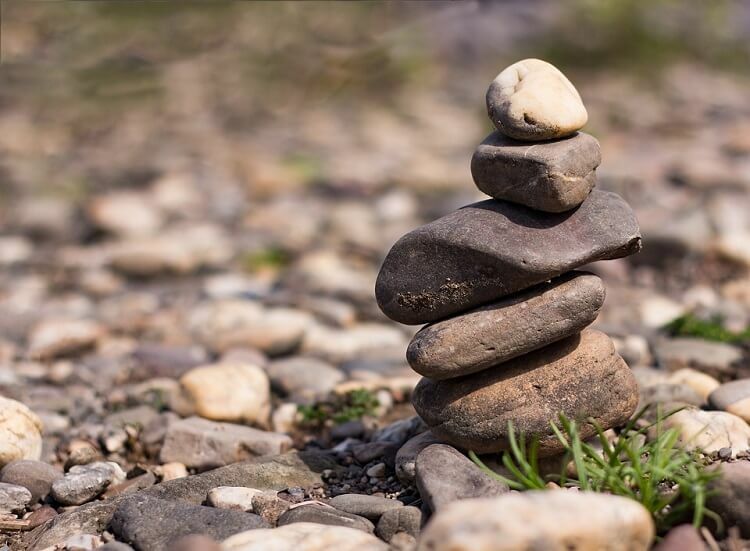 In this article, we are going to look first at what is the right type of gravel according to your landscape. 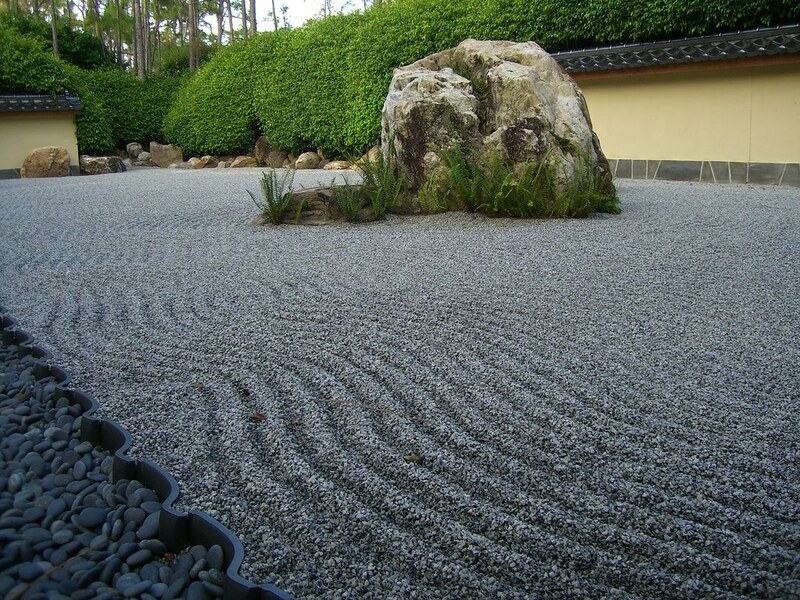 Then, we will go through various landscape ideas with gravel for inspiration and how to achieve them. Finally, we included some maintenance tips to help you preserve the beautiful design you worked on. 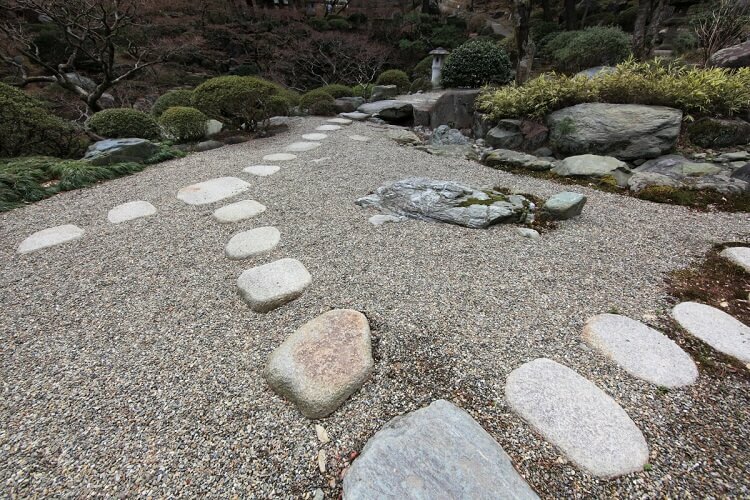 For paths and patios, you should go for man-made crushed rock. They are great for making a stable walking surface since the bindings are better. Usually, you will find them in a size of 3/8 inches. It’s also useful as a mulch if you need some around your plantings. If you want to walk barefoot, then you should choose a ¼-inches type of gravel. Alternatively, choose some natural pebbles that are finer. It depends on what landscaping ideas with gravel you choose to adopt. In this case, a safe bet would be to choose river rock. It has pieces that are larger and thus smoother. This type of gravel is less stable if you walk barefoot than the previous one. However, they bring a stronger presence than other types of gravels. 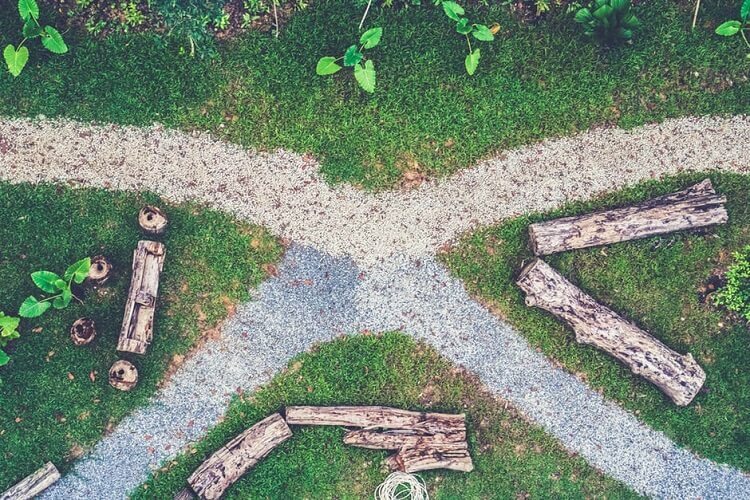 Now that you know which type to choose for your yard, let’s see some landscaping ideas using gravel. One of the most stylish landscaping ideas with gravel you can take advantage of is lining your garden paths with pearly quartz gravel. It looks more sophisticated and it lends your entire landscape a special feel. It also works as a transition space between the hardscaping you are using on the terrace and other softer garden plantings. Alternatively, you could use the pearly gravel all over the place, but this will take away the elegance. Another one of the great landscaping ideas with gravel is to place gravel around the pavers. This design is suitable for a hardscape since it has a rough aspect. The symmetry of the pavers will catch your eye and it will be a nice contrast with other greenery you have around. Moreover, the gravel also has a practical role: it will protect the pavers from getting dirty from the soil when it rains. Boxwood balls are a great component of garden designs using gravel. Being perfect for a patio, they are a good match for some extra bluestone pavers as well. 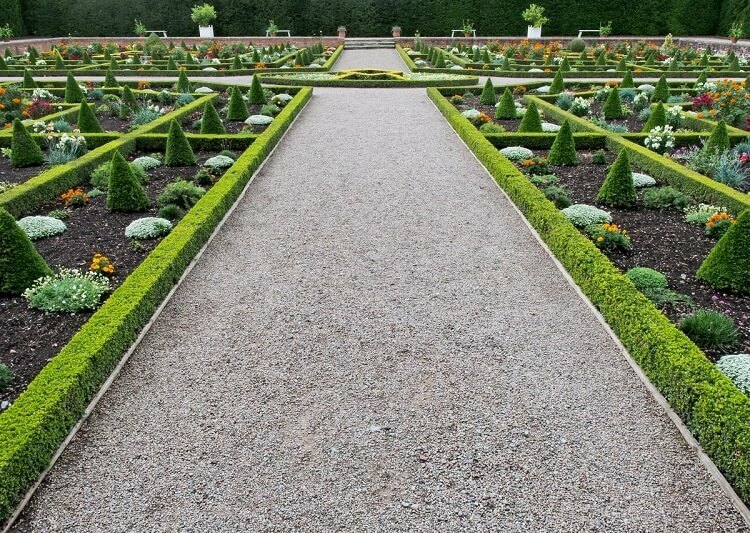 It is easy to obtain some symmetry with a couple of boxwood balls if you plant them in a straight row, for example. If you want, you can keep the row as a fence for the outdoor space. Straight into the ground – You can simply dig a pit straight into the ground and place the gravel in it. You will have to be careful about the edges, which you can secure with some pavers, for instance. In this case, you will have a nice contrast between the dark soil and the gray shades of the gravel. You can even introduce other landscaping ideas with gravel. Use a tray – there are some special big trays which you can buy, just like the ones used for kids’ sandboxes. You can simply fill it with gravel and place it on the ground. Again, you should pay special attention to the edges, which may not look very appealing. Use some decorations such as flowers or leaves to hide them. Use a wood deck – Yet another one of the most interesting landscaping ideas with pea gravel is to build a wood deck. You can use the wood to create a pit right in the middle of the deck. As such, you will also have a support for all the gravel. What’s more, the gravel will offer more stability to the wood structure and you don’t need to mask any edges anymore. Don’t be afraid to use your creativity and to make various combinations. One suggestion would be to combine some limestone pavers with gravel. The modern touch is given by the mix between the gravel and some crushed limestone dust. Complete the image with greenery or colorful flowers. Think about including ferns or, just like above, plant boxwood balls. The final look will be edgy and modern, softened by the green colors around. Tired of your old classic lawn? Try to revitalize the concept by replacing it with a gravel one. The best part is that you won’t need to do any extra effort, you just have to place the gravel on the ground. You will notice that the final look is quite modern and airy. To complete the landscape, add some graceful plants on the edges, such as ferns. Plants with lots of leaves will fit in perfectly. One of the best landscaping ideas with gravel is to design a gravel patio. This time you don’t need to line it up with plants at all unless you really want to. It’s an awesome idea because it will make a nice contrast with the patio furniture you choose. Pro tip: if you want to have an exquisite and original patio, you can try combining various sizes of gravel. Imagine how pretty a combination of harsh gravel and plain soft grass would be. You can split the available space in your backyard and place the two surfaces next to each other. Of course, you are again free to use your imagination. Bonus: if you’re feeling creative and you have time and space for this, you can set up a checkered design. Long plants can be used for covering up the edges of the gravel since it might give an unfinished look in the end. As opposed to the gravel pit described above, for this one, you will need to allow more space. You need to take into account the size of the fire, as well as the size of the seating space. The gray area will fit in nicely with the seating. Moreover, it also has a practical purpose: it protects the plants on the edge of the fire and any potential sparks that may reach them. Keep in mind that you can combine various landscaping ideas with gravel and obtain a unique result. 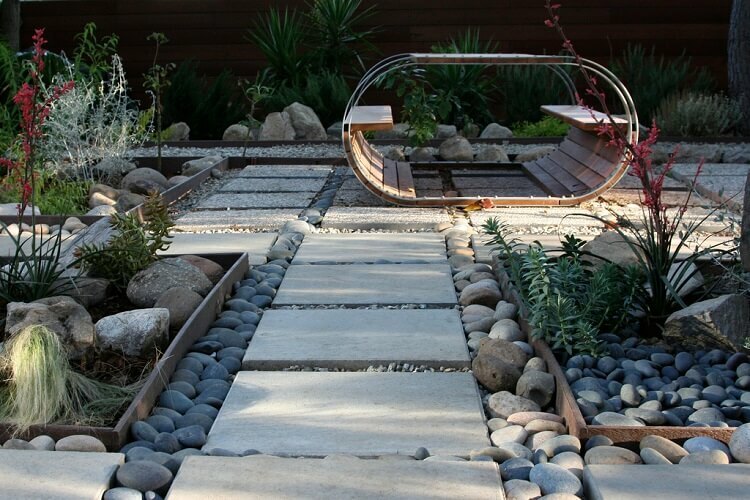 If you love geometry, you are certainly going to love the last entry on our list of landscaping ideas with gravel. The concept is simple: divide the space you have into squares, just like you do it with square foot gardening. Then choose various designs for them: you can fill one with gravel, another one with grass and another one with your favorite flowers. There is no limit to what you can decorate the squares with, which is great. Now that you know how to choose the right type of gravel and you decided on a design, let’s have a look at some maintenance tips. Dead leaves, dirt and similar debris will appear on your gravel sooner than you think. If you don’t take care of it, you will soon have a pileup of dirt right on your gorgeous gravel design. Use a metal rake and clean the debris. Pay attention and choose the appropriate type of rake (thin tines set close for fine gravel, thick tines set widely for heavier one). Keep an eye out for the weeds that might grow on your gravel. The more you let them grow, the harder it is to deal with them later. A simple trick is to pour hot water on them, which will kill their roots. You can also use a weed killer if they are too big. Leaves can be commonly found on your gravel if you have trees around. Try to remove them while they’re still dry since it’s easier that way. Remember that wet leaves can encourage water accumulation on the gravel you have. A leaf blower is a simple solution for clearing the leaves away when they’re dry. Holes can occur from time to time on your gravel. Fill out the holes you see with sand and then place gravel on top. Then, even out the area with the help of a trowel. Gravel that has sharp edges will stick better to the sand. Be careful! Using soil for filling up the holes will encourage water to accumulate in your gravel. Having a gravel landscape is an idea that is catching up more and more. People love it for the flexibility it has, which means that they can use it for almost any type of design. As you have seen, the possible combinations are endless and there’s surely a design that suits each taste. Moreover, you can make sure your landscape is unique and original by adding your personal touch.